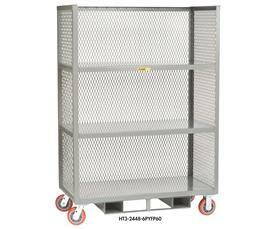 Large capacity, three shelf truck designed to securely attach to your order picker. Two full width fork pockets on 24" centers and 1-1/2" steel grab bar make attachment easy. Shelves have 19" clearance. Overall height is 69". 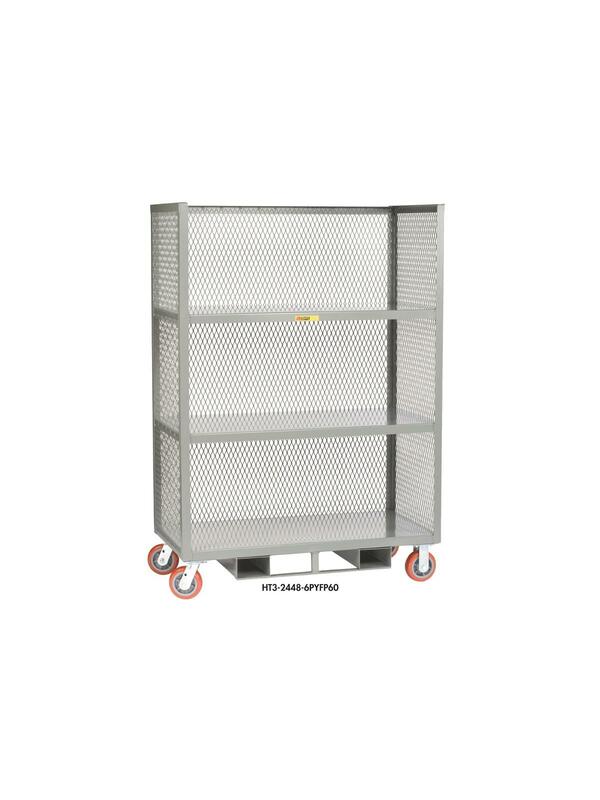 2 rigid and 2 swivel 6" polyurethane casters assure smooth rolling, even with a full load of 3,600 lbs. 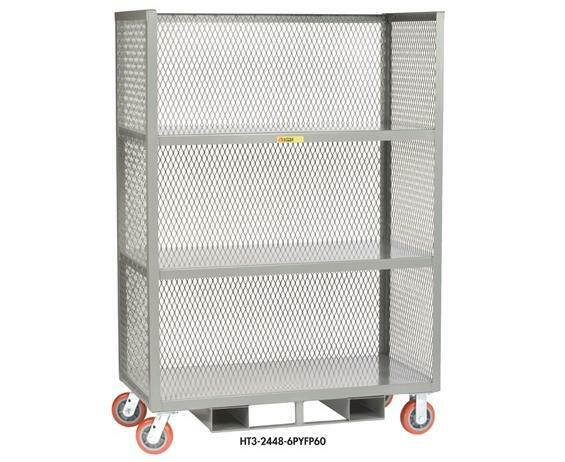 48" length allows the unit to fit down any aisle. FOB Shipping Point.